Data is the raw material of our time, and it's vastly underutilized. Through DataMaster, you learn how to derive insights from your data to deliver value in ways you've never thought of before. When taken with DataMaster Part 2, DataMaster is an elective course for the Master Black Belt and Lean Master programs. What analytical methodology and tools does the DataMaster course use? Tools you will use include Microsoft Excel and Microsoft Power BI. How do I receive a DataMaster certifciation? For more information on DataMaster Certification offered with Part 2 of the course, click here. Part 1 of the DataMaster program is a one-week offering designed to rapidly develop the analysts you need. 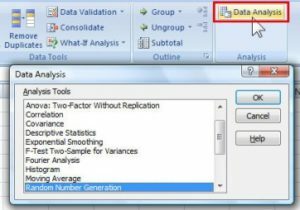 Through the application of an analytic methodology, DataMasters learn how to use familiar tools such as Microsoft Excel (and its powerful Solver and Analysis ToolPak add-ins) to obtain, scrub, explore, model and interpret your data. The DataMaster program will also add new tools to your toolbox, such as Microsoft Power BI. With this toolset and training, DataMasters gain the skills required to analyze data, build models and create powerful visualizations that lead to valuable insight and better business decisions. Questions about the courses or want to learn more? Contact our Data Analytics team. Justify your training for this course. The DataMaster class was an excellent introduction to the world of Data Science. As a Master Black Belt working on different projects across the organization, DataMaster is exactly the training I needed to bridge those two specialties: how to apply my statistical knowledge to a real business problem. I would definitely recommend this class to fellow learners. This class put me outside of my comfort zone, but I'm so glad I did it! The course material built upon my Black Belt skills, and gave me insight into tools that I didn't know existed. The data tools presented in the DataMaster course were extremely valuable. Already being a Certified Black Belt, the Lean Data Analytics used with OSEMN gave me a greater ability not only to model a solution, but to develop a better understanding of the visualization of that model. I look forward to using the techniques from DataMaster to improve my company's Business Intelligence. Complete coursework for both DataMaster Part 1 and Part 2. Obtain and process disparate sources of data into a format suitable for your analysis work. Understand and apply techniques to clean data for effective modeling. Analyze, explore and model your data. Recognize where key data might be missing and use creative means to find or generate the data that is needed. Uncover valuable insight from data using statistical methods and exploratory analysis. Communicate data-based findings in visually compelling ways. Draw on data available from varied internal, external and cross-domain sources. Address difficult problems that have not been solved with conventional tools and wisdom. Take complex information and make it easy to understand and communicate. May not have a clearly defined outcome by approaching it with an exploration oriented mindset. DataMaster follows a guided introduction process along with the completion of an analytics case study. 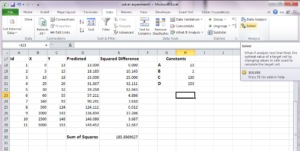 Microsoft Excel includes an optimization tool called Solver. This free tool enables the DataMaster to find optimal solutions for many business problems. Working through a methodical approach, DataMasters will determine the decision to be made, the constraints on that decision and the overall measure of performance. They will return to their employer able to analyze data to maximize profits, minimize overtime, optimize schedules and address other business issues. The Analysis ToolPak is a free add-in program that adds extra financial, statistical and engineering functions to Excel spreadsheets. The Analysis ToolPak in Excel provides the DataMaster with tools to perform ANOVA, correlation analysis, regression, t-tests and much more. 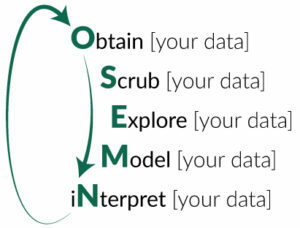 DataMaster students will work with a case study using various tools to deep dive into the data to better understand relationships and data modeling techniques. 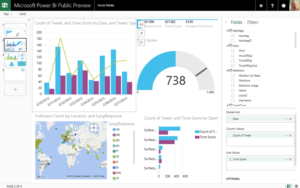 Microsoft’s Power BI is a free cloud-based business analytics service. Microsoft’s leading analytics tool allows you to ask a question and generate a visualization for better and deeper understanding. It is incredibly powerful and easy to use and many find it an impressive alternative to the much more expensive options. The DataMaster student will use Power BI to quickly analyze data and create dashboards and other stunning visualizations to bring data to life. Dates and locations are available on demand. Contact us.